It’s one of the most obvious questions out there. When Canadian Premier League president Paul Beirne was in Regina last summer, it came up when he spoke with supporters in the Saskatchewan capital. It was one of the first questions I had for the league’s commissioner, David Clanachan. Considering that, a year ago, all of the whispers and rumours around the soon-to-be-launched league suggested that we were going to a see a close-knit franchise system that was going to take lot of its cues from MLS, where there is central control over contracts and how teams can build their rosters (allocation orders, anyone?). But, the CanPL reality looks to be very different. Clanachan has told us that when the league kicks off in 2019, it will look very different than MLS. One table. Clubs will be independent. And, most importantly, CanPL will embrace the two words that are poison to MLS; promotion and relegation. There is a strong mandate to launch a second and even a third division, and have teams come up and down. There may be a future where not only the Greater Toronto Area has more than one team; we could be talking about Vancouver derbies and even Edmonton derbies. This is a league that looks to have no use for the regional restrictions that govern most leagues in North America, where territories are ceded to owners as their exclusive domains for marketing and, most importantly, local broadcasts. But, despite these key differences, there will no doubt be things CanPL borrows from MLS. Beirne, after all, is a former Toronto FC executive. He has said that this is a league that will learn from MLS, and take some of the best practices. Clanachan said last week that he admires how MLS has engaged soccer fans in various cities across North America, and he admires the “grassroots” feel of the teams’ supporters. As CanPL moves toward its 2019 launch as this country’s division one, despite the presence of three Canadian sides in MLS, it will be interesting to see what the league takes away from MLS — and what it stays away from. The reality of modern soccer is that some leagues are bigger than others. With a mandate to develop Canadian talent, teams have to understand that the practise of selling players on needs to be a key part of the revenue strategy. Fans will understand — and even be damn proud — if a Canadian prospect is sold by the hometown team. 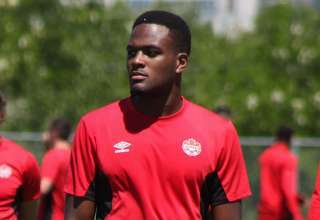 The Cyle Larin impasse is a reminder of how CanPL cannot operate. Larin wants to move to Turkish giant, Besiktas, from MLS side, Orlando City. Besiktas claims to have signed the player as a free agent, as they feel the option in his contract isn’t valid. Orlando City says the option was renewed fairly as per the league’s Collective Bargaining Agreement and the player is still the property of the Lions. Similar cases have gone to FIFA and the Court of Arbitration for Sport in the past. But, in the end, no matter if it gets resolved out of court, in court, or with Besiktas and OCSC/MLS making a deal, this whole process has gotten unnecessarily ugly. You have a player who doesn’t want to return to Orlando, you have bad blood between clubs, you have a lot of negative emotions. 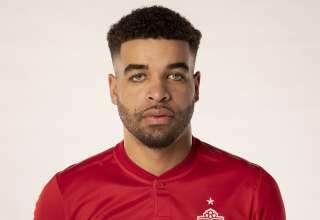 The Camilo case, where the players and his agent said that the team option on his Whitecaps contract was invalid, forced a move to Mexican side Queretaro at the conclusion of the 2013 season. At the root of these disputes is the team-option year or years on player contracts. Team options are recognized as part of the league’s Collective Bargaining Agreement. What happens is, at the end of the term of the contract, a +1 option allows the team to wait and decide if they want to keep the player for another year or not. A player signs the deal because, well, that’s what’s on the table. And in MLS, team options are standard practices. But if player A becomes a star, and the team has an option (or multiple options, I’ve heard of +1 +1 +1 +1 contract offers), the team holds the cards on renewals or transfers. Or, for up-and-comers or fringe players, the team options always have them sitting on fences, without guaranteed money down the road. They wait and sweat and wait and sweat. But soccer is an international business, and many nations and federations don’t recognize team options. In some European nations, employer options on contracts aren’t legal. It’s led to an international mess. The CAS has heard a number of cases where players have claimed their team options aren’t valid, because teams didn’t a) notify them in time that their options would be renewed b) the options took away their bargaining powers c) the options didn’t provide for raises d) players want to move from a federation that allows team options to one that doesn’t. It’s an ugly business. I know players who have decided not to come to MLS because of the team options in contracts. And that’s why, maybe, the CanPL, to show that it can be a “players’ league,” shouldn’t have them. Or, if it does, outline specific rules — and be transparent — on how teams have to exercise the options; they need to provide for salary bumps, and they need to be exercised (or not) well before the current regular season ends, so non-renewed players have time to start arranging for trials, etc. Basically, CanPL needs to look at the international standards, the CAS rulings in the past, and come up with a system that’s player-friendly. As a new league, with salary constraints, you need to offer players an environment where they won’t feel they are at the mercy of team options. Learn from MLS in this case; learn from the ugliness of the Larin and Camilo cases. For the soccer fan, a one-table league, with major cities having multiple teams, and promotion/relegation are old hat. For the mainstream North American sports fan, it’s revolutionary. And this needs to be celebrated. And, When CanPL launches, we know that every American reformer will be latching onto this league. It’s inevitable that the CanPL will be used as a “see, Canadians are doing it!” argument in the not-so-great American soccer debate. We just need to see that as “any PR is good PR,” because that will only help spread the word about Canadian soccer. We also should apologize to everyone who covers soccer south of the border, as Canada’s move to embrace an open, pro-rel system will no doubt make their lives more difficult. As if they didn’t need more Twitter fights. The single-table, independent-club model only works if the teams themselves don’t feel like they were all conceived and branded by a Toronto ad firm. These teams need to be recognizable to fans from coast-to-coast, but reflect the communities they call home. They can’t have jerseys that look like someone slapped a crest onto one of the big manufacturers’ patterns. If the jersey or badge needs a curator to interpret the symbolism for the layperson, it doesn’t work (I’m looking at you, Whitecaps “rain” jersey). If you have to tell the fans the four squares on a logo stands for a famous building and the red swoosh symbolizes the wind, start over. 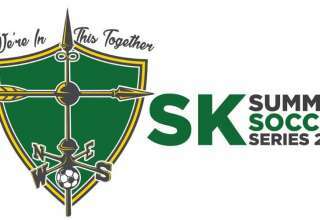 If the clubs are authentic, if the relationships between team and supporters is built organically, if we shun groupthink, maybe, just maybe, we’ve finally found a way to make soccer work in Canada. The NASL and USL have always relied on club options. 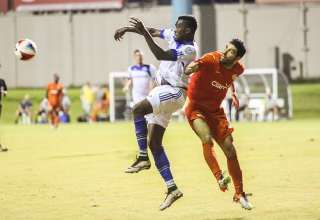 FC Edmonton has always used team options. Absolutely true. It’s just hard to compare anything to NASL at the moment because, well, NASL may not exist anymore. Lol ” to further separate from MLS”, you say this like the MLS is a league that is not working at all lol, a league with really bad attendance, that the MLS is such a bad thing for soccer in Canada and North America! The MLS has now survived longer than any North American pro soccer leagues that have come before it. It is a league that is growing, it is a league that has given Canadian soccer proof that pro soccer can survive in Canada with the consistently good crowds all 3 of the Canadian teams continue to get in their respective cities. 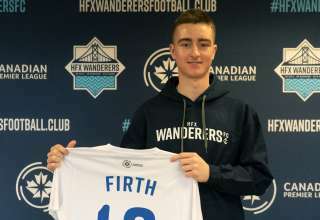 The writer above writes in this article that the CPL might finally prove or find a way to make soccer finally work in Canada, well I have news for the writer who lives in Edmonton, soccer is proving with the 3 MLS teams that soccer can work in Canada, so according to the writer, baseball with only one Canadian MLB team and no Canadian league does not work in Canada, or basketball with only one NBA team and a small semi pro Canadian basketball league is not working in Canada? Of course if all goes well having a CPL means more job opportunities for Canadian players, more opportunities in more Canadian cities to grow the game, but let’s not think that the MLS has done nothing for pro soccer in Canada it has in 3 of the biggest cities in Canada, cities that have a combined population bigger than a lot of top 20 soccer nations of the world, so even if this CPL were to falter in the future the 3 Canadian MLS teams have enough of a population base to produce players in the future and make these 3 teams economically viable even though, places like, Edmonton, Winnipeg, Saskatoon and so on don’t follow the MLS and may never. Why would LigaMX want anything to do with a NASL/USL level foreign league when they have their own lower divisions?